This knock on my writing style was a huge blow to my ego and an even bigger blow to my self-confidence. I pulled out every paper I had ever written in college (yes I’m a dork, I saved them all in a folder). I read my professors’ comments: “Just a model paper, Maria, A+”; “Perfectly executed”; “A pleasure to read.” Had my professors been lying to me? Was I really a failure as a writer? Maybe I couldn’t hack it in the real world of writing. I could have quit the internship and forgotten all about that graduate student’s comments. I wasn’t getting paid for the internship and I wasn’t getting college credit, so what did I care? As a perfectionist, everything inside of me was screaming, “Back away now.” But this time, I chose to step out of my comfort zone. Looking back, I think the stubborn side of me came out. I was going to show this hotshot editor that I had what it took to be a professional writer. I reread all my editor’s comments and tried to look at them as professionally as possible. They were not an attack on my self-worth. They were simply critiquing my writing style. And a great critique it was. I realize now that I was overwriting. I had spent so much time in college looking for the perfect words to prove to my professors that I was talented. In the real world of writing, readers are looking for a connection with a genuine flawed person, a true voice. They want real, honest words, not pompous prose. When I wrote my next article, I became very conscious of writing with the reader in mind. I kept asking myself if I was choosing words to impress the reader or to connect with her. I cut back on words that required a dictionary. I stopped overusing adjectives and instead strengthened my verbs, the action of the story where real living occurs. My hard work paid off—that hotshot Columbia University editor loved my next submission! She said that I made a real connection with the reader and she was impressed with the way that I had handled the criticism. I was humbled. For the first time in my professional and academic careers, I really felt like my initial “failure” was worth it from the lessons I had learned. The real-life experience paid dividends down the road, even though I didn’t earn a salary at the time. If you want to learn how you, too, can help yourself through a failure and develop thick skin, consider the following advice. We learn more from our mistakes than from our successes. So the next time you find yourself in a challenging situation, ask yourself, “How can I use this experience to learn more about myself?” Write down five things that you can learn from your challenge. I had used what other people thought about my writing to measure my self-worth. Traditional creative pursuits, such as writing, are subjective and not everyone will love everything you create. That is totally okay. I needed to learn how to take constructive criticism better if I wanted to be a professional writer. I was focusing more on trying to impress readers with perfect words, instead of attempting to make an honest connection in a meaningful way. Sometimes the process of writing is more enjoyable than the end product. I am learning every day that when I actually enjoy the journey of writing, rather than obsess over the end product, it ends up better received by the reader anyway. Get stubborn. Tell your inner critic that you’re going to work through your failure and prove to yourself that you have what it takes to persevere. Ask questions. Know someone who is able to laugh off mistakes in a healthy way? Ask them for some sage advice on how you can go about surviving failure. Celebrate imperfection. When you successfully “fail” for the first time, celebrate this Hallmark event. There should actually be cards on the market for this type of occasion. “Congratulations on the successful completion of your first failure. I’m proud of your ability to be resilient and take chances. Good job! Love, Grandma” (or insert the loved one of your choice). Hmm, maybe you and your friends could launch this greeting card line! Congratulations risk takers! 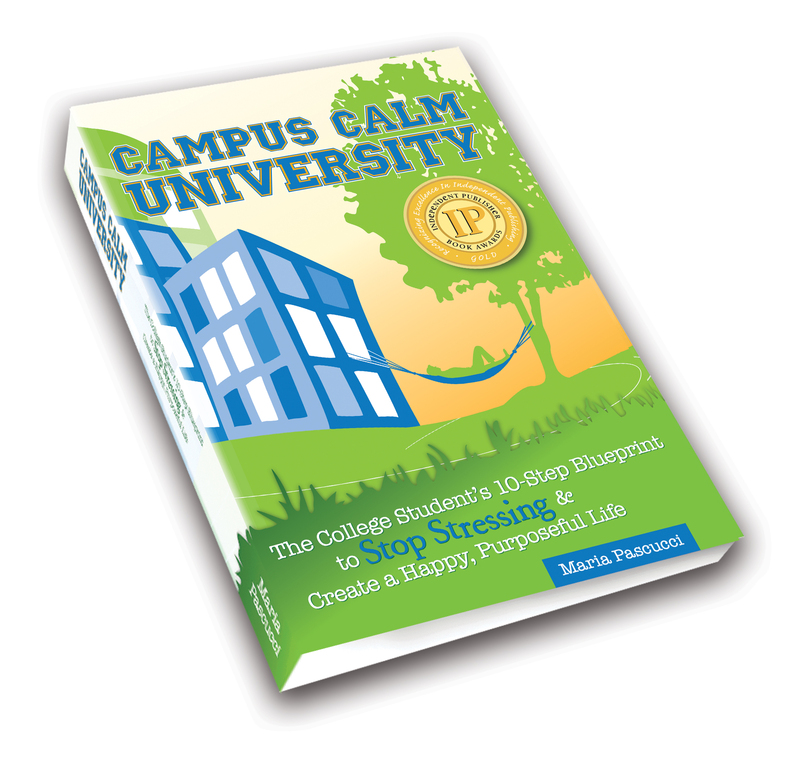 This entry was posted in From Maria Pascucci, the Founder of Campus Calm, Goal Setting, Perfectly Imperfect, Rx for School Stress and tagged Campus Calm University, college graduate, constructive criticism, failure, graduation gift, happiness, high school senior, inner critic, internship, Maria Pascucci, mistakes, perfectionist, professional writer, real world, self-confidence, self-worth, stressed out, students, success, thick skin, writing. Bookmark the permalink.